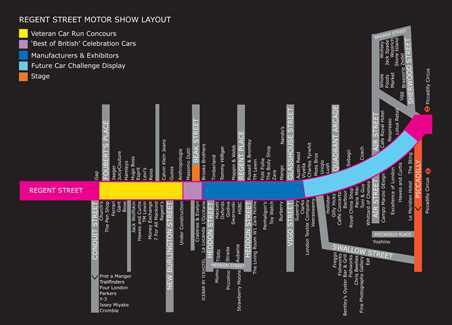 On Saturday 3 November, as part of the free weekend of motoring hosted by the Royal Automobile Club, the Regent Street Motor Show will take place in London from 10.30am until 4.00pm. The event is on the same weekend as the London to Brighton Veteran Car Run and the RAC Future Car Challenge and is being held for the third year running. 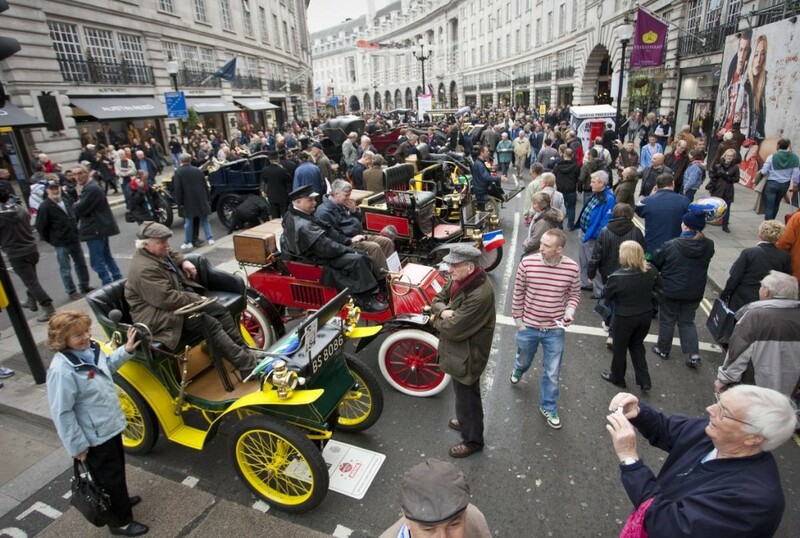 The largest free motor show in the UK, the Regent Street Motor Show promises to be better than ever this year and will be supported by many famous retailers Austin Reed whose own heritage dates back to the same period as our veteran cars on display. Regent Street will be closed all day – with shops open until 10.00pm. The main attraction will be a display of iconic vehicles to celebrate the 19th, 20th and 21st centuries of motoring. Joining the 100 pre-1905 vehicles in the prestigious EFG International Concours d’Elegance will be low energy use vehicles as they arrive from Brighton having completed the RAC Future Car Challenge – some of these will not have been seen on UK roads before. There will also be a display of beautiful cars owned by Royal Automobile Club members including Bentleys, Aston Martins and Lotuses. For this year there is a new Manufacturer Zone where the latest models will be presented by Vauxhall and Renault. LIVE area – test drive the latest technology cars on a 1 mile test drive route. The main stage will be packed with celebrity interviews and entertainment and hosted by TV presenter, Louise Goodman. The celebrities on hand will include Red Dwarf actor and green car ambassador Robert Llewellyn, Smooth Radio DJ Mark Goodier, Team GB swimmer Ross Davenport and Land Speed Record holder Don Wales (the British Gas team taking part in the RAC Future Car Challenge), TV presenter and former Strictly Come Dancing Contestant Kate Silverton and (on the Vauxhall stand) TV presenter and motoring expert Quentin Willson. All vehicles featured in the poll will be displayed on Regent Street, with the nation’s favourite car unveiled by Coronation Street and Hollyoaks actor, Tony Hirst. One lucky person chosen at random from those who voted for the highest-polled car will be treated to a special VIP day at the Regent Street Motor Show. On hand at the Regent Street Motor Show will be Race2Recovery and their British rally raid car the Qt Wildcat 500DKR. As featured on BBC Top Gear, Race2Recovery will be the first team of predominantly injured servicemen to complete the formidable Dakar Rally in South America in January 2013 in support of the Tedworth House Recovery Centre based in Wiltshire (a Help for Heroes project).